All the smells, sights, sounds, and tastes of Christmas are wonderful. There is very little about December that I don�t like, but sometimes too much of a good thing can leave you feeling a bit overwhelmed. For that reason I want to share some of our favorite family ideas for hearty, not-so-sweet, and maybe even healthy (yes I said THAT word when talking about Christmas treats) snacks, treats, and gifts. 1. 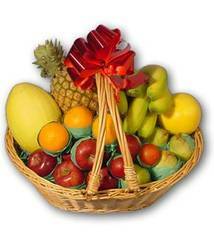 Fruit Basket � There, we got that healthy stuff in there! Yes, it is sweet, but fruit gives your body a much needed boost during the winter months when we sometimes don�t get enough. They make great gifts because you can adjust them for your budget and taste. If you have a smaller budget, buy fruits that are more in season and use a smaller basket. If your budget is a bit larger you can increase the size of the basket and add different fruits and maybe even some more exotic fruits. Not only that, but there is little quite as pretty as a nice, bright fruit basket! 2. 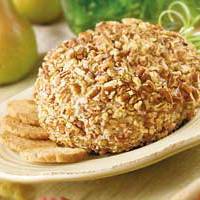 Cheese Ball and Crackers � There are cheese ball recipes for about every taste out there. They are fun to make and can be tailored to personal tastes. Pair it with some yummy crackers and it makes a great snack when you have just had enough chocolate (if that is really possible). This recipe offers a simple place to start. Combine salad dressing,cheese and cream cheese. Form into a ball. Roll in bacon bits. Refrigerate until 10 minutes before serving. Apple butter is like a thicker and spicier version of applesauce. It is great on toast, crackers, cornbread, pancakes etc., or over ice cream. Make it as plain or as spiced-up as you like. This recipe is a good starting place. If you don't want to bother with canning, just freeze whatever apple butter you won't be using within a week. If you will be canning the apple butter, get suitable jars, lids and rings ready. In a large pot or water bath canner, cover jars with water and boil 10 minutes. Turn off heat and drop lids in. Peel, core and cut up the apples. Combine with the cider or water and cook until the apples are soft. To process: with tongs, remove a jar from the hot water, fill it to 1/2 inch from the top with apple butter, wipe the rim clean and retrieve a lid from the hot water. Put the lid on, snug down a ring and return the filled jar to the pan of hot water. Continue until all jars are filled and/or the butter is gone. Return the pan of filled jars to the stove. Add more hot water if necessary to completely cover jars, then cover the pot and bring to a boil. Boil for 10 minutes. Allow to cool somewhat (or completely); carefully remove jars to a dry surface. Cool completely before removing sealing rings. Check for seals following lid manufacturer's instructions. Freeze any that don't seal or refrigerate and use soon. 4. 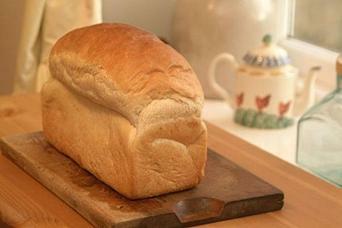 Amish Freindship Bread Start � A little more work, but the end product is so very delicious! This is a great recipe! 3. Day 10; stir in 1 cup flour, 1 cup sugar and 1 cup milk. Remove 1 cup to make your first bread, give 2 cups to friends along with this recipe, and your favorite Amish Bread recipe. Store the remaining 1 cup starter in a container in the refrigerator, or begin the 10 day process over again (beginning with step 2). 5. 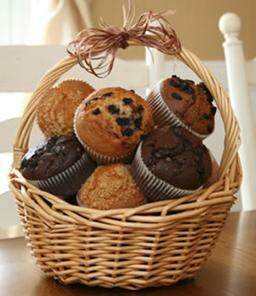 Muffin Basket � Delicious for snacking or breakfast, muffins are a wonderful treat. You can go with classics like blueberry, change it up with zucchini or carrots. Or get the best of both worlds and put an assortment in the basket and tie a ribbon around all that flavor! 1. Preheat oven to 350 degrees F (175 degrees C). Lightly grease or line two 12 cup muffin tins with paper liners. 2. In a large bowl beat the eggs. Beat in the sugar and oil. Add the cocoa, vanilla, zucchini and stir well. 3. Stir in the flour, baking soda, baking powder, salt, cinnamon, nutmeg, cloves and cardamom. Mix until just moist. 4. Pour batter into prepared muffin tins filling 2/3 of the way full. Bake at 350 degrees F (175 degrees C) for 20 to 25 minutes. Remove from pan and let cool on a wire rack. Store loosely covered. Serves 24. Sweets are wonderful, but if you have had an overload of all things sweet these ideas may get you thinking of different gifts you can share with those you love. Whatever you choose to share, include a recipe. I am sure that your friends and family will love what you have given them and want to make it again and again. So, include a fun little recipe card so they can enjoy it! Happy Holidays to you all!! !